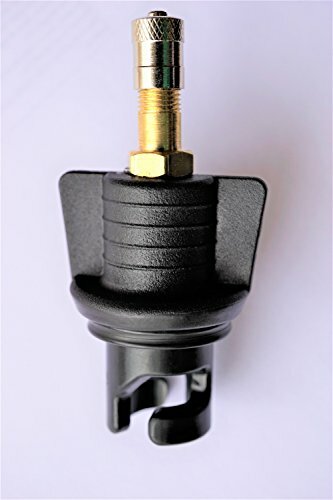 Inflation valve stem with torque tabs allows an easy connection from a high pressure air supply to your inflatable SUP, inflatable kayak or RIB. 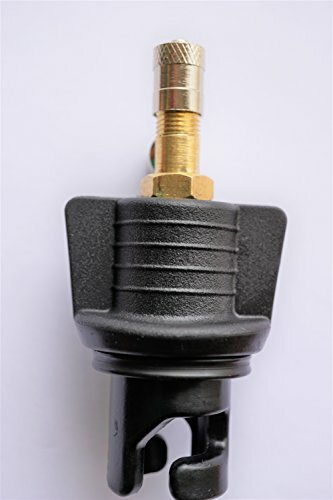 The schreader valve or car/bike tire inflation valve connects easily to a compressor or other electric pumps commonly used for fast inflation. 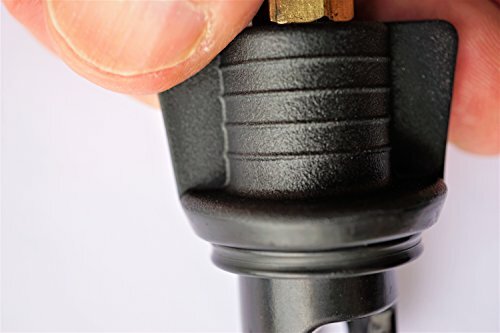 The hook locks make a positive lock on the board, kayak or rib valve. An X-washer is standard that fits Halkey Roberts H3 valves as well as a wide range of valves on iSUP like Wakooda boards and others. 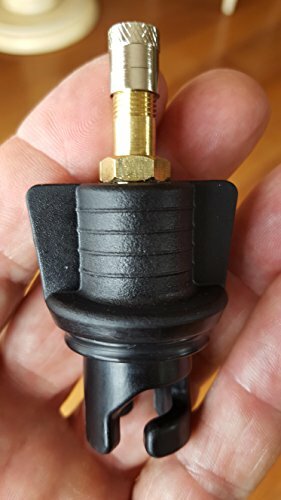 We include an extra washer so you can adjust the fit to make an air tight connection.